I think everyone would agree that Autumn is a beautiful season. 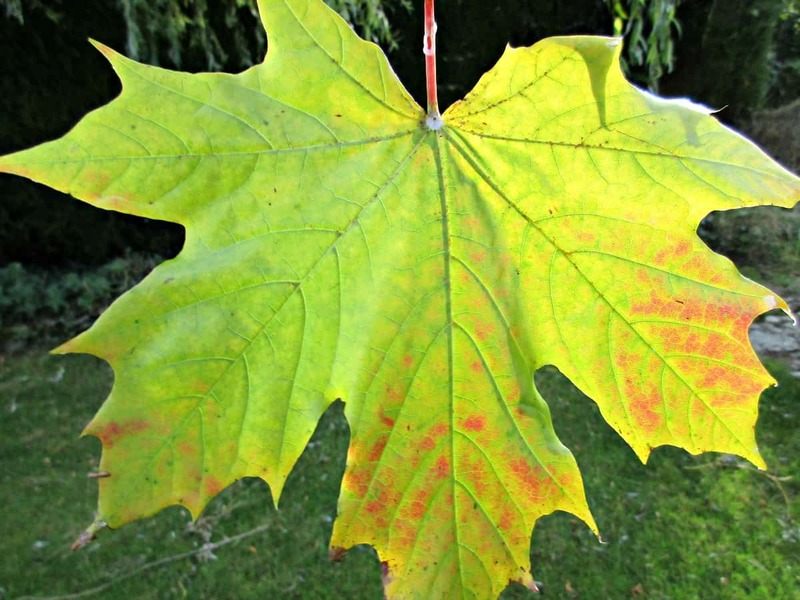 The changing colours of leaves before they fall is a wonderful sight, but due to the nature of the process the leaves are undergoing, it is difficult to preserve them in all their glory. One method is to press autumn leaves, today we are exploring another really simple one – preserving them in wax. 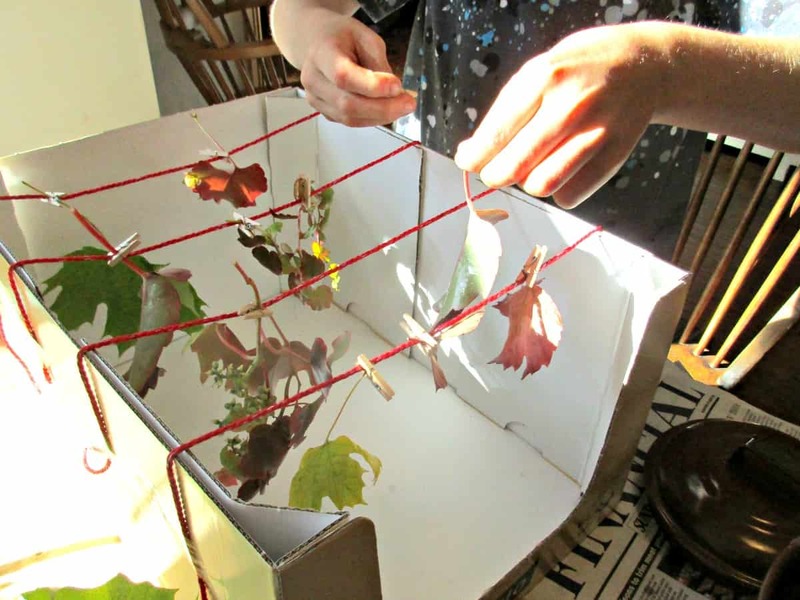 This really is a fun and simple way to preserve leaves. As well as collecting your leaves you will need some wax, a container to melt it in, and somewhere to hang your leaves to allow them to dry. We melted our wax in a double boiler, you could also do this in a bowl over simmering water. Please ensure you do this safely, bearing in mind that wax ignites easily! It is important to note that it is not safe to melt wax in a microwave or leave melting wax unattended. We found dipping our leaves quickly into the hot wax avoided them wilting, and allowed us to capture their beauty at that particular moment in time. The wax only takes a few minutes to set on the leaves, but during this time it will leave marks if they touch anything, so we devised a drying frame to leave ours to dry in safely. For more leaf craft inspiration check out our Decoupage with Autumn Leaves and our Unique Eco Prints. Never seen befor . I’m going to trying today also can you tell me which bleach name can use for pine cones please, that would be great help for me. Not dumb at all Lucy. We used just a basic paraffin wax pellet as that’s what we had. I’m not sure if any one type would work better than another. Sarah they look so pretty and shiny and who wouldn’t want to preserve fall’s glorious colors. You have so much fun with your kids! I love it. This is a really cool way to save the gorgeous colors of fall. Could you attach them to a wreath or use them in a table-scape? 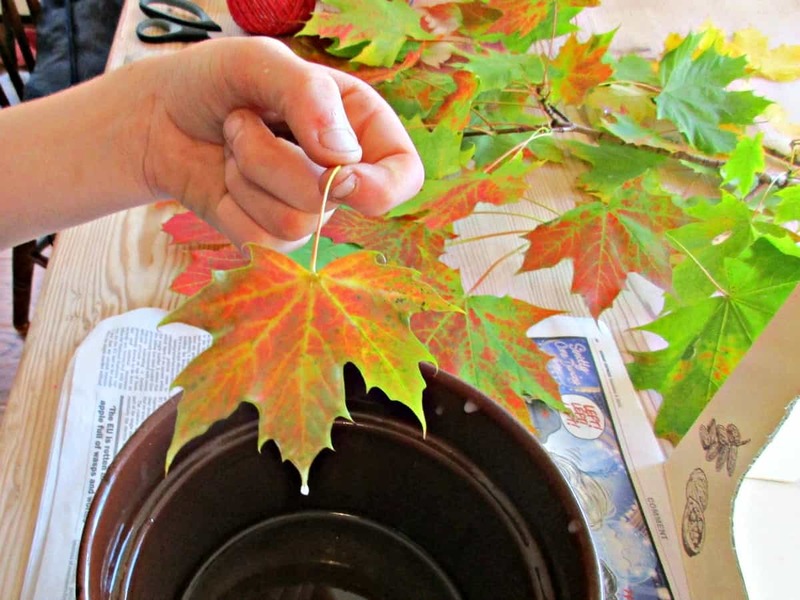 We all run to the craft store to buy fake leaves, but we could be doing this instead! And the real leaves are so much prettier. Thanks for the tip, going to be trying this! Haven’t decided how to use them yet Nikki, but think they will probably end up attached to a wreath – I have too many ideas running around my mind lol! What a great idea! 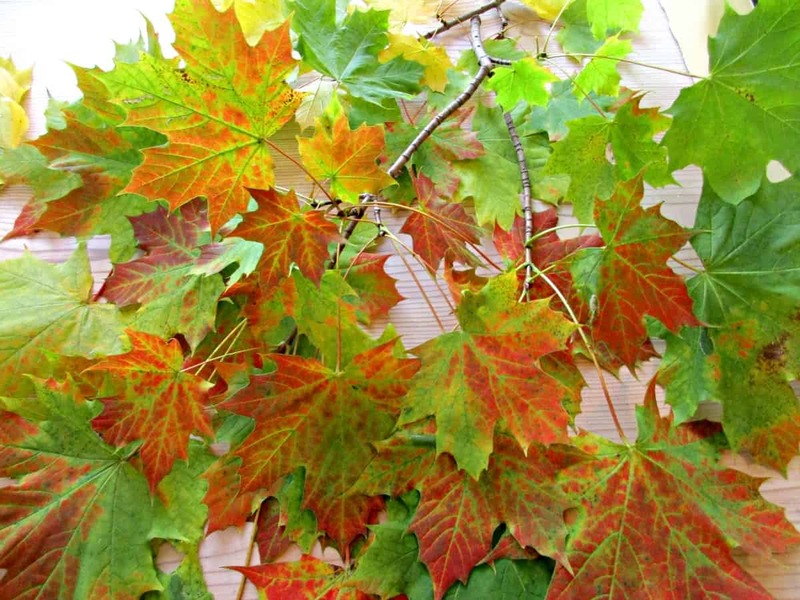 Love the idea of preserving the different colors of the leaves to use year round. They will make beautiful props! Gorgeous, and it looks easy too! I’m really excited about this, I’ve never seen it done before…!